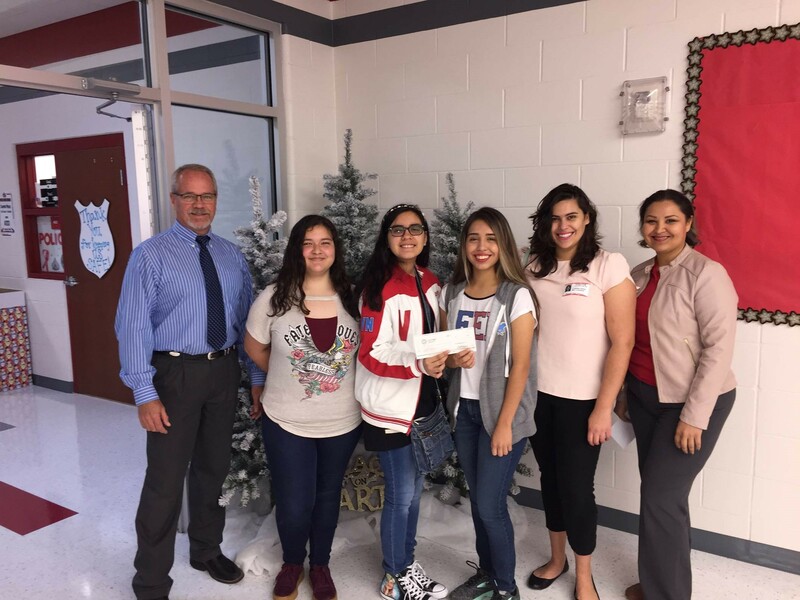 The Sharyland Pioneer Code Diamonds is pleased to announce it has received a $1,500 donation from Mission Economic Development Corporation on Monday, November 27th, 2017. 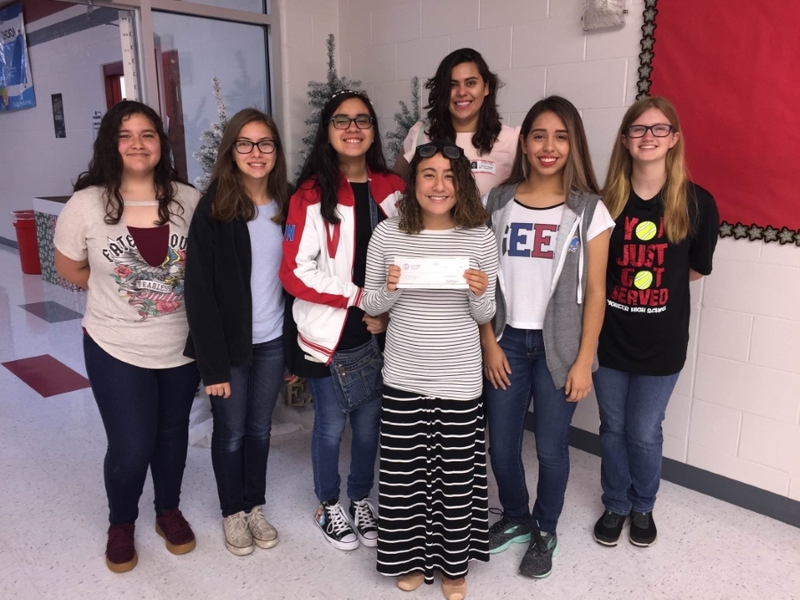 These funds will support this new all-girls coding club in the purchase of Lego robots to practice their coding skills and other branding supplies. The Pioneer Code Diamonds club was started this school year by Mrs. Monica Campbell (CTE teacher) and Mrs. Janie Flores (SPHS Librarian) and currently has 7 student participants. They are currently learning coding through the Google CS First and MIT Scratch curriculum and will soon start their journey into Python and other advanced programming languages. We are proud to be part of this new club and are grateful to Ms. Cristina Garza, Mission EDC Program Director for her support and generous donation. We look forward to having a fruitful working relationship with Mission EDC. Photo (left to right): Maria Rangel, Mia Villarreal, D.D. Peña, Erin Cantu, Alexa Perez-Lara & Dana Billman.